The leaves are starting to turn and there’s no traffic on the lakes-what a great time to be fishing. This fall, fish two different lakes connected by a canal. Each has a unique personality. No matter the weather, they counter balance each other. There’s always sheltered areas and with so much water, something is always hungry. All of Lake Cadillac’s 1,150 acres are within the City of Cadillac. It’s two and a half miles long and three-quarters of a mile wide. First timers find it easy to figure out since it is bowl shaped and shallow to deep in the center. The maximum depth is 25 feet, gradually sloping with a shoreline of weeds. There are three public access sites on the west and northwest shore with plenty of parking. Good shore fishing on the east city side, with a fisherman’s dock adjacent to the city park, often a Crappie hot spot. Tournament Anglers know the fall is the best time to catch Smallmouth Bass on Lake Cadillac. The lakes host several regular and classic tournaments. Thanks to the MDNR, their Walleye plants have improved Anglers opportunities for Walleye limits. Cadillac has a good population of Bluegills but has a good reputation for the number of slab size Crappie. Trophy size Northern Pike can be caught on both lakes. Traditionally, the numbers are better on Lake Mitchell. 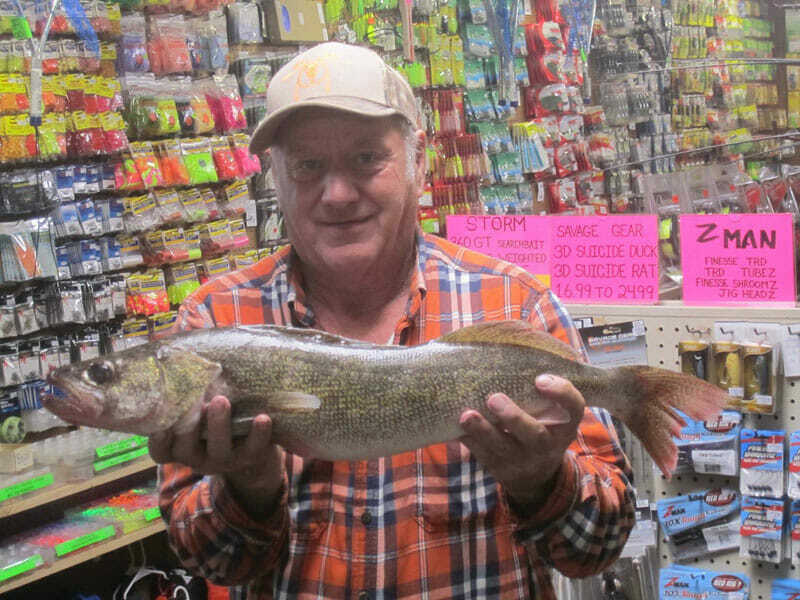 Fewer but generally larger Pike are caught or speared on Lake Cadillac. Lake Mitchell is twice the size of Cadillac at 2,580 acres with a maximum depth just over 20 feet, averaging 8.5 feet deep. First time boaters keep their speed down while learning the lake. The major holes and drop-offs are easy to find – the fish live and concentrate there. There are two big and little, weed abundant coves on the west shore. Anglers congregate here in the spring, summer and especially through the ice. Larger boats find it easy to launch on the east shore at Mitchell State Park into Lake Mitchell. * There’s two gravel lunches on the south shore near Thirsty’s and Hemlock Park. Another gravel launch is on the west shore in the little cove. 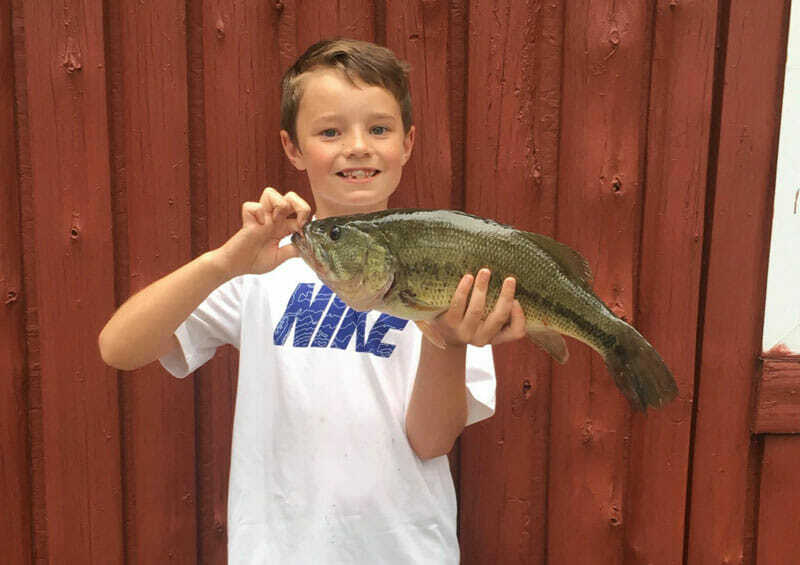 Expect an unusually high number of legal Large Mouth Bass. Bass fans have fun too! Walleye and Northern Pike can be caught along the deeper weed edges. The pan fish population, Bluegills, Crappie, Perch and Rock Bass all make the coves their home. Lakes Cadillac and Mitchell normally freeze before most other area lakes. When the ice is safe, spearing for Pike is a popular sport on both lakes. The Cadillac area has an active chapter of the Dark House Association with a growing membership. Some of the best fishing of the year is waiting. Enjoy Lakes Cadillac and Mitchell.  For information on the Cadillac area, visit www.cadillacmichigan.com for lodging, campgrounds, resorts and activities. 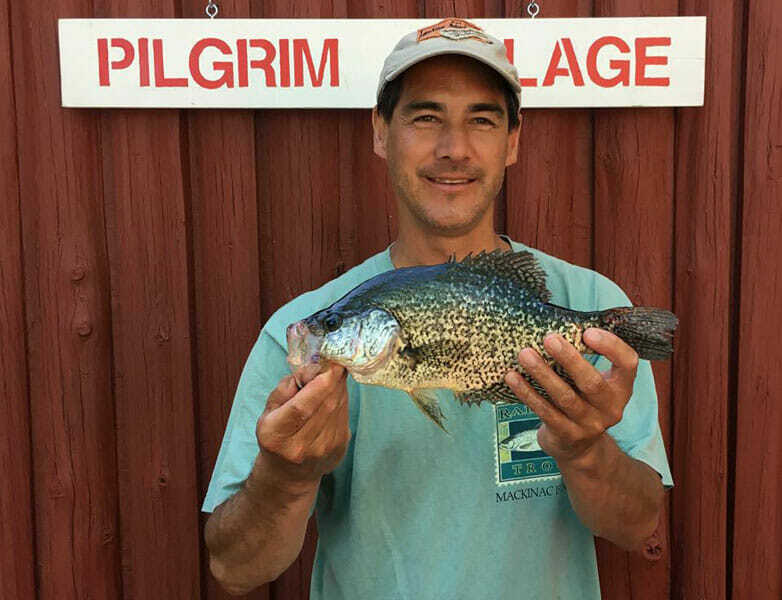 This Fishing report is written by Steve Knaisel, Owner, Pilgrim Villages Resort & Bait Shop, Cadillac for the Cadillac Area Visitors Bureau.